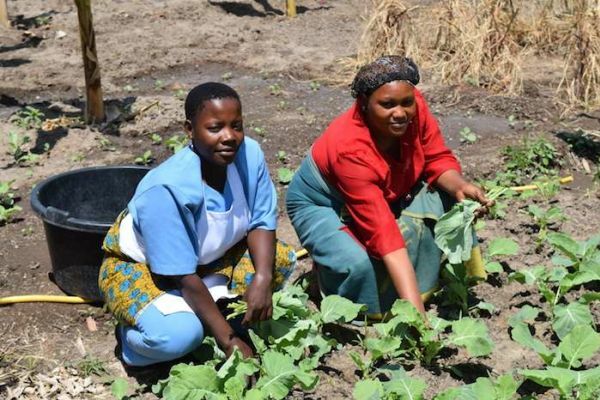 The summer break saw the transformation of the Mungere School garden—and now it has just had its first harvest. 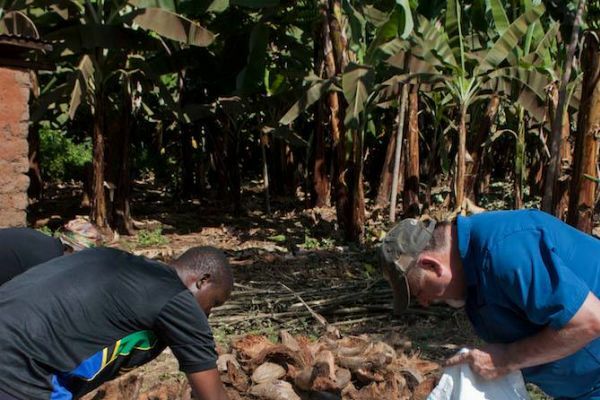 Dozens of volunteers, led by “Timber” Jim Serrill, put in hours of back-breaking work rebalancing the soil and planting crops such as cabbage, beans, and corn. Last week, school cooks Sarah Martin and Selina Peter dug up the first yield, which was served to over 100 very grateful staff and students. Over the four-week school break in June, Mungere School welcomed "Timber" Jim, the former mascot and Director of Love and Celebration at the Portland Timbers soccer club. 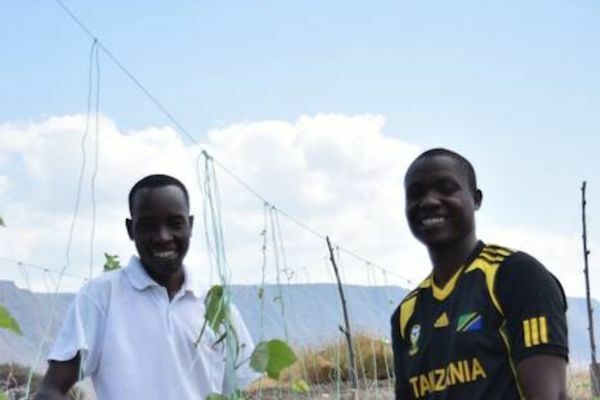 He helped revamp the one-acre plot and turn the extremely acidic soil into a nutrient-rich place where plants and vegetables can now grow. 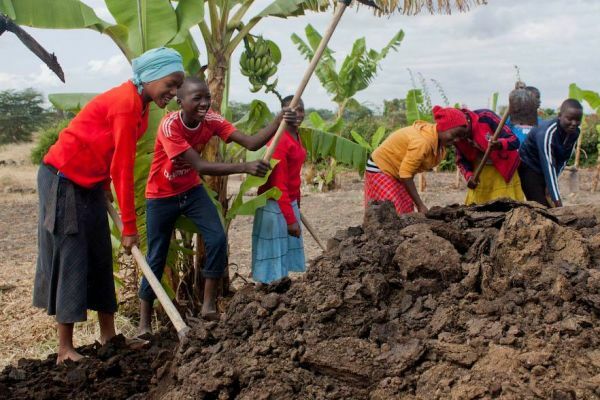 Volunteers combined a unique mix of compost, sand, manure, gypsum, and coconut core, which was poured across Mungere’s notoriously difficult soil. 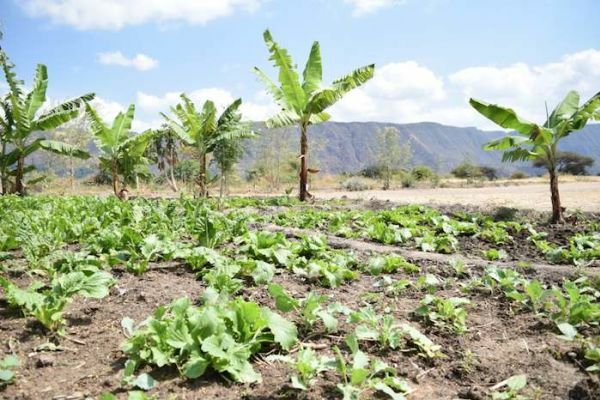 Now, green shoots are flourishing in the Tanzanian earth—the only flash of color in the arid landscape. The soil conditions around the school mean that very few plants can grow. This in turn provides a very limited diet for the students and their families. With the changes to our garden, more than a dozen types of plants are growing, including kale, tomatoes, carrots, pumpkin, and even watermelon. 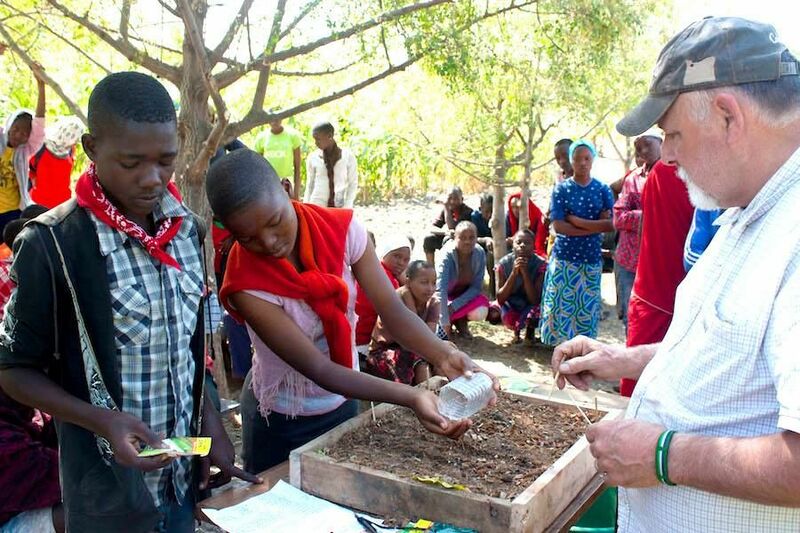 The aim is they can become part of the school menu so the teenagers can get much-needed vitamins and minerals. Not only is this organic garden sustainable and environmentally-friendly, it is also virtually cost-free. Despite being close to the equator, the school has a plentiful water supply. 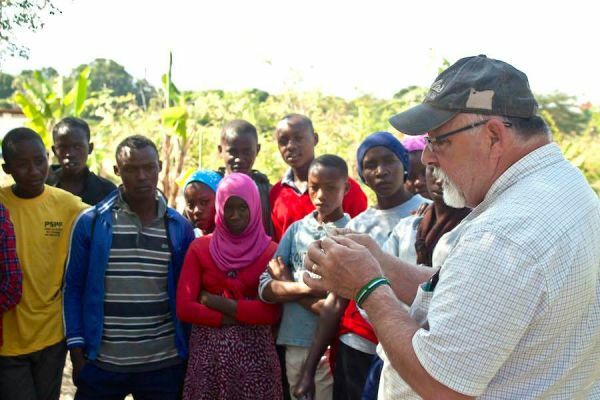 The village is in the shadow of a 2,000 foot-high rainforest escarpment and 12 years ago, engineers came to feed pipes through the surrounding villages and to install taps. The students were fascinated by the process of neutralizing the soil and came in during their month-long school break to help “Timber” Jim. 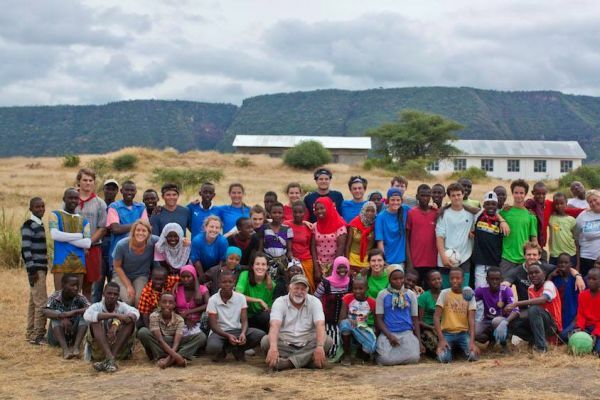 They were also aided by dozens of American teenagers as part of a volunteer service project organized by the Moondance Adventures Group. Shaban added, “We couldn’t have done it without “Timber” Jim and his helpers because we didn’t know how to sort out the soil. It has been a problem for years across the whole area. “We have water but nothing would grow because the area is so acidic. Everything he used to balance the soil such as sawdust, manure, and gypsum is available here. 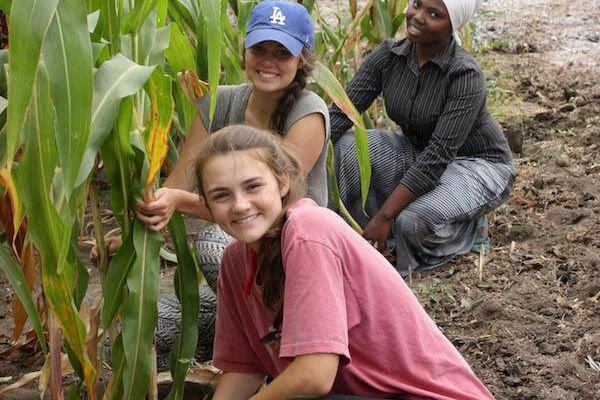 Our hope is that our students can go home to show their families what to do on their farms.